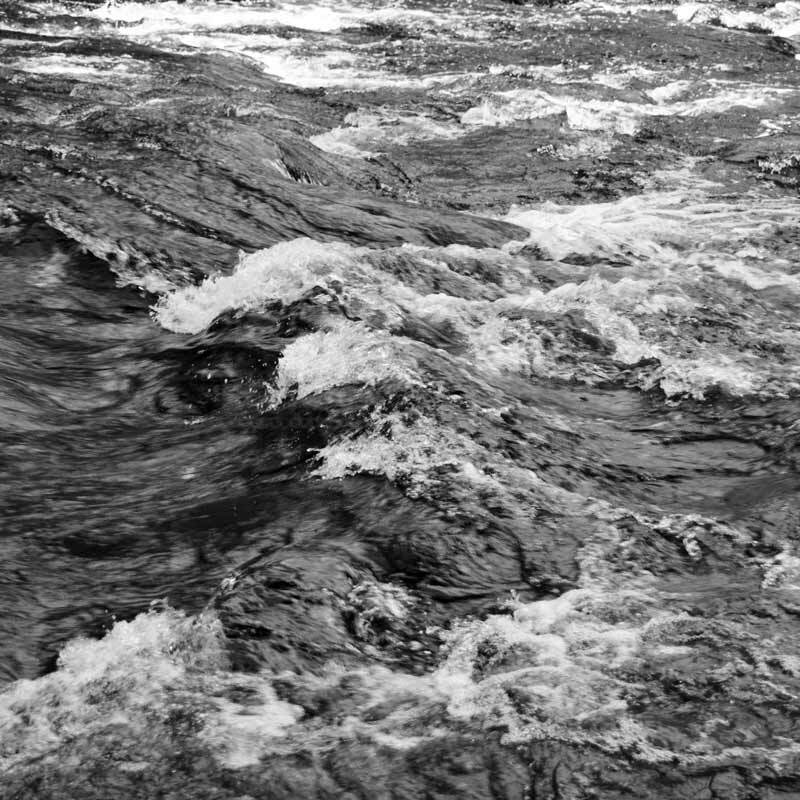 Water images have a dual nature. On hand they are easy to take – water is always around us. On the other hand it is hard to notice and capture in water images all intricate subtleties of water texture, reflections and details. Waterfalls are nature’s spectacular shows, falling water continues to fascinate people. 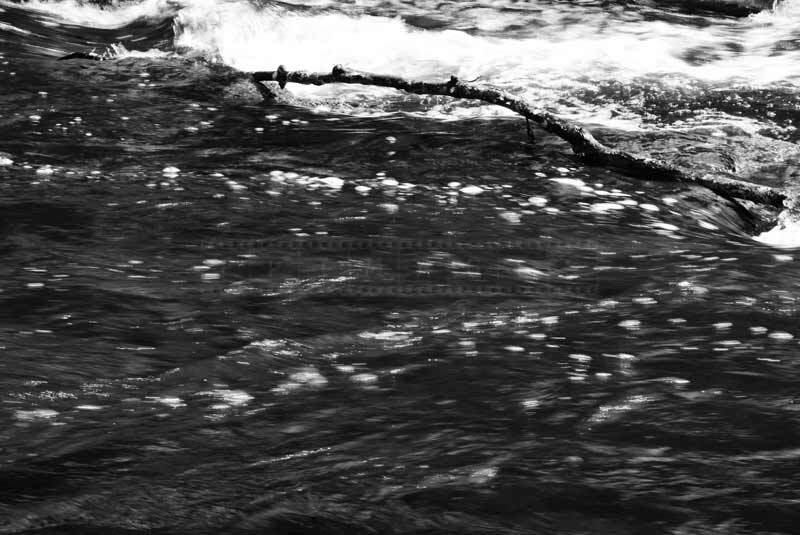 In this post FPImages presents 10 water abstract images taken at Millet Falls, Nova Scotia. 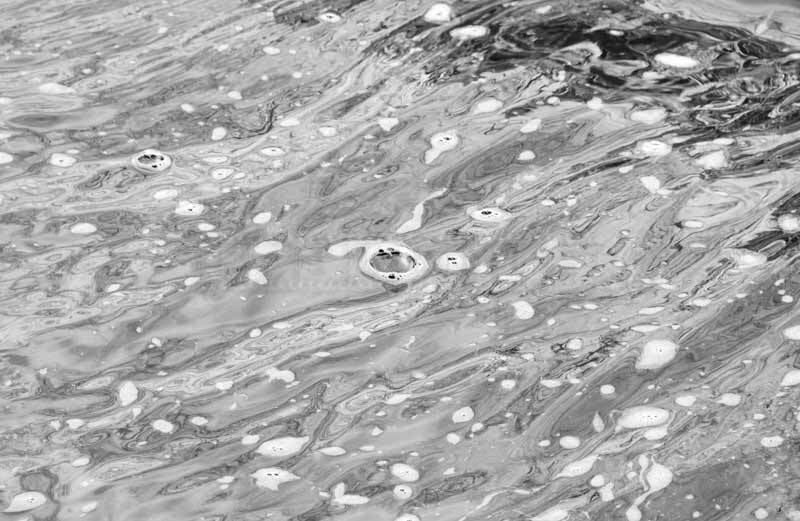 Black and white photos are better suited for this project as color is a distraction in water images. 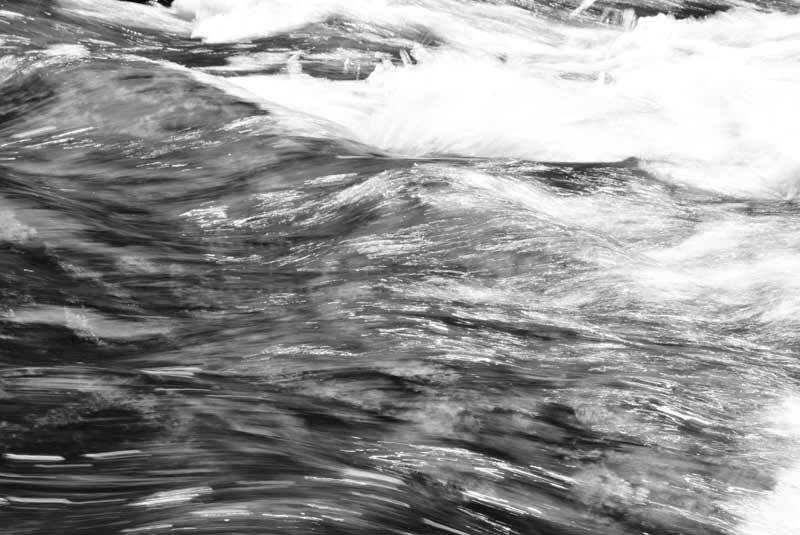 First water image is a classic example of how water texture may look like. This is a photo of a small forest stream with streaks of seaweed. 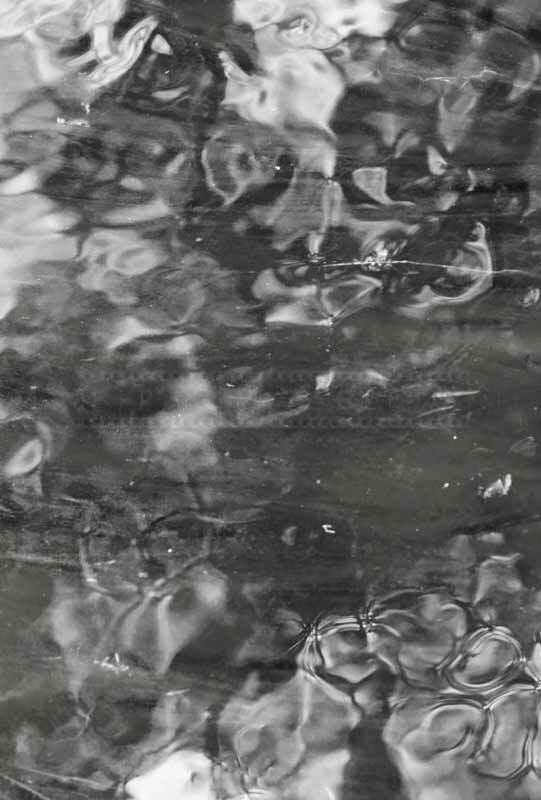 Photo itself has lots of artifacts similar to the film pictures, however these are just particles on the surface of the water. 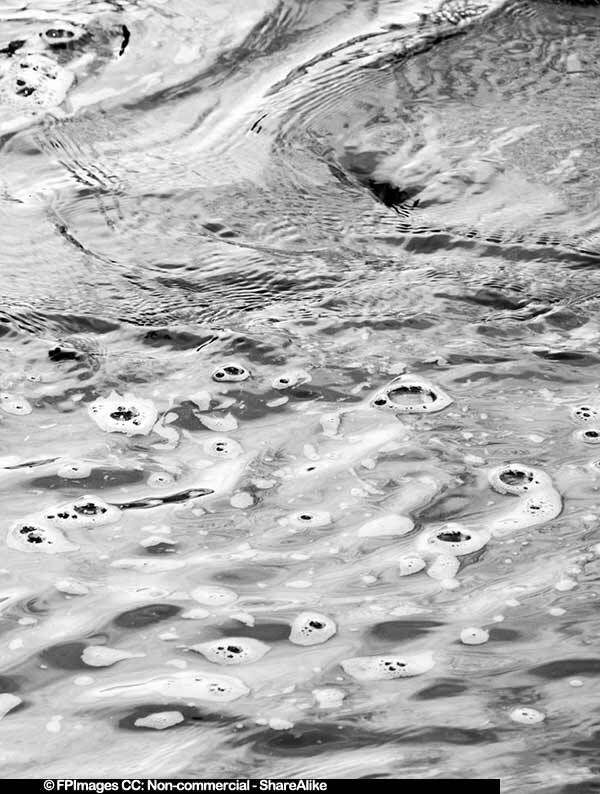 This image also captured unusual black and white reflections and shapes that create total abstraction. Remember to look for unusual features and take lots of pictures, they may reveal a really nice water texture later. 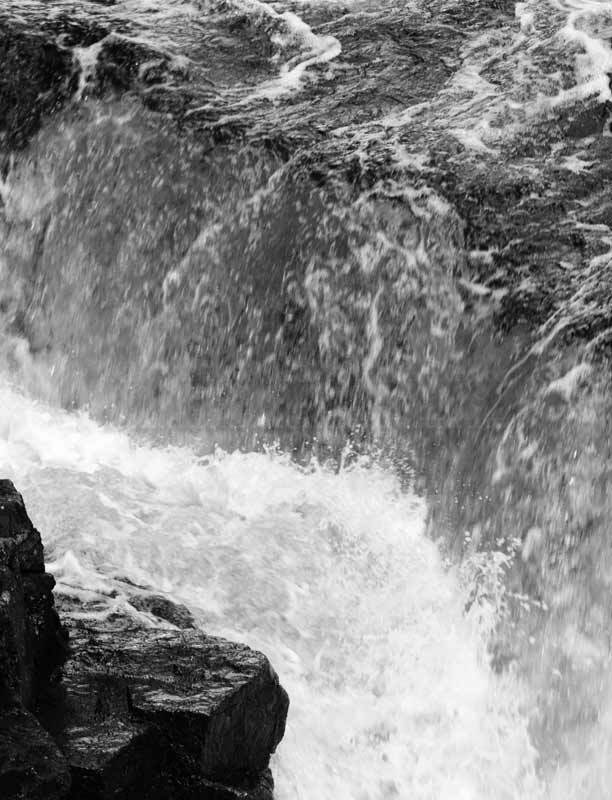 Waterfalls are powerful, especially in the spring in Nova Scotia, when rivers are full and current is swift. Power of the falling water has great symbolism and contrasts with the steadiness of the rock, Chinese include waterfall in their concept of yin and yang. Waterfall pictures can make an excellent abstract art or can be used as desktop backgrounds. Nature photography inevitably includes water images, for static water one can use regular techniques. For moving or falling water one of the tips is to slow down the shutter speed and let the passage of the water be captured by the camera. 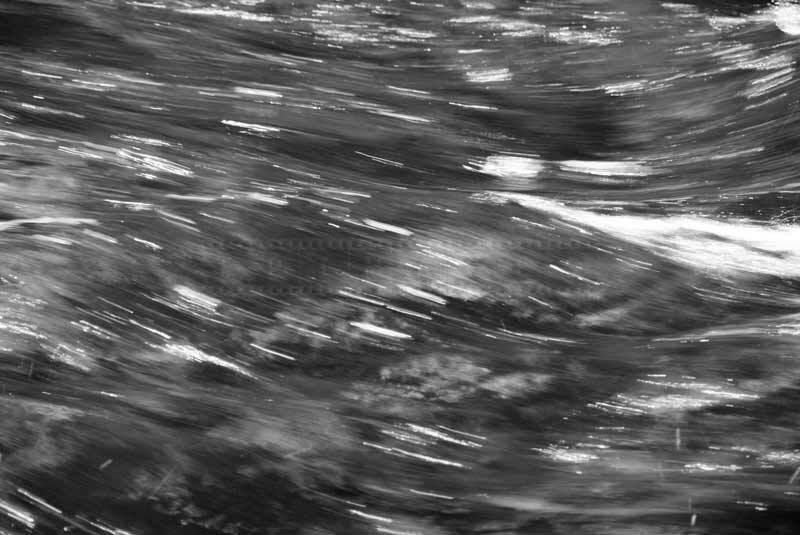 This water image will in fact become an abstract image with beautiful water texture and lines showing water movement. The slow shutter speed will smooth out all irregularities and resulting water image will have a dream-like impression. To achieve impressionism effect in modern digital abstract art experiment with shutter speed settings. 1. Walk around the river, lake or waterfall, get a feel for it and find the best spot. 2. Take pictures at sunrise and sunset. 3. Use zoom lens to capture water texture with slow shutter speed, use tripod. 4. Look for patterns and rhythms, shapes and reflections, remember to experiment with black and white photos.